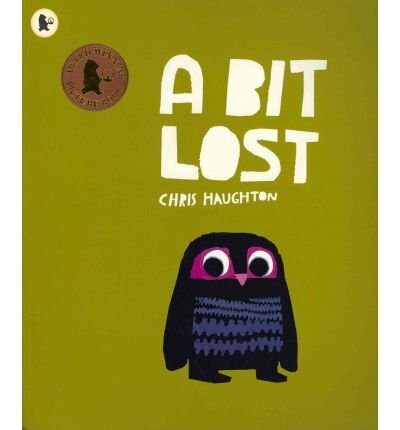 A beautiful and witty picture book charting the journey of Little Owl who is just 'a bit lost'...Little Owl must be more careful when he is sleeping...Uh-oh! He has fallen from his nest, and with a bump he lands on the ground. Where is his mummy? With the earnest assistance of his new friend Squirrel, Little Owl sets off in search of her, and meets a sequence of other animals. Yet while one might have his mummy's Big Eyes, and another her Pointy Ears, they are simply not her. Chris Haughton's striking colour illustrations follow Little Owl on his quest. Which of his new friends will lead him back to his mummy? Winner of Gold in the Children's Book category at the Association of Illustrators annual awards, this title perfectly captures the timeless anxiety of separation, followed by joy of reunion, of mother and child. It features eye-catching artwork from a promising new talent. If you're not tempted to shed a tear with Mummy Owl when her son is restored to her, you must have a heart of stone.